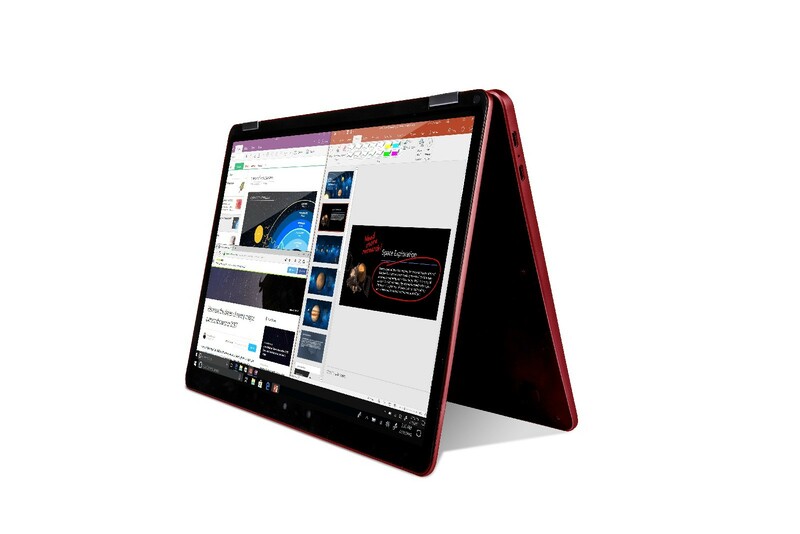 Thanks to the Windows on Snapdragon initiative, Qualcomm has been dabbling in the laptop processor business for about a year now. And while systems like the Asus Nova Go and Samsung Galaxy Book 2 have their share of flaws, those laptops demonstrated the potential benefits of ARM-based chips through things like seriously good battery lives, integrated cellular modems with always-on connectivity, faster wake up times from standby, and more. However, even with those pros, both the Nova Go and Galaxy Book 2’s processors were basically chips ripped out smartphones and jammed into laptops, which isn’t really a suitable long-term solution for getting ARM-based silicon in PCs. 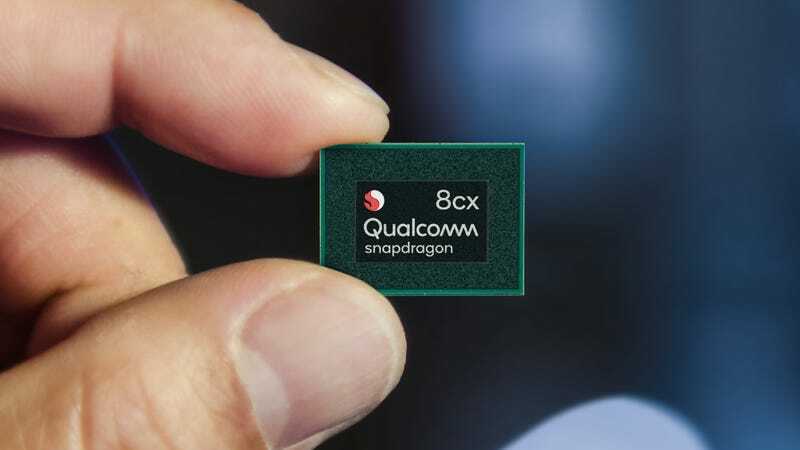 That’s precisely why while working on the smartphone-derived chips in the systems above, Qualcomm was also preparing its first chip “designed from the ground up for next generation of computing experiences”: the Snapdragon 8cx. 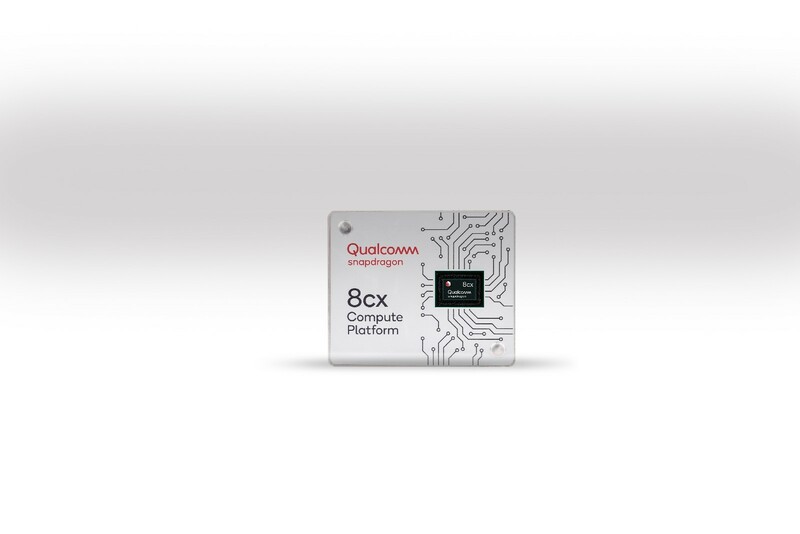 As the “8″ in 8cx implies, Qualcomm’s new laptop processor has a lot in common with the new Snapdragon 855 chip the company revealed yesterday, although in cases like the 8cx’s CPU and GPU, Qualcomm has tuned the chip up to better leverage the more forgiving thermals and bigger batteries found in notebooks when compared to the typical phone. 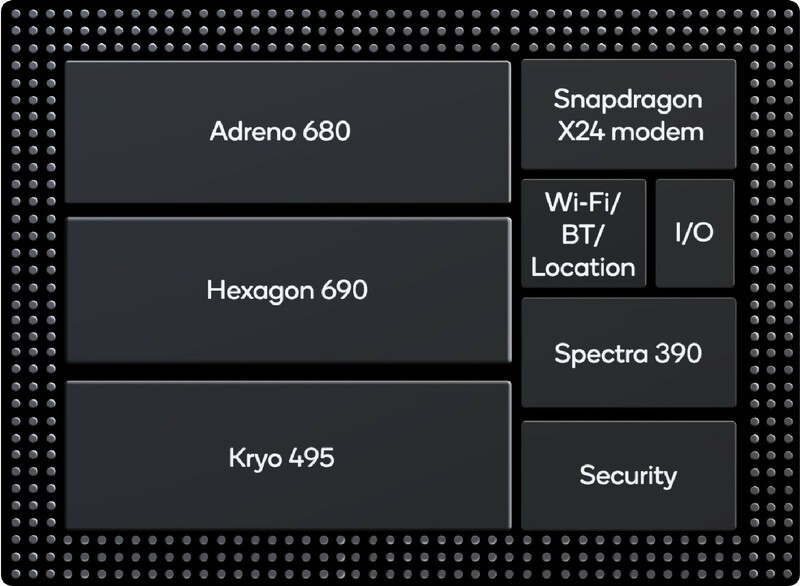 The 8cx features an eight-core 64-bit Kryo 495 CPU and an Adreno 680 GPU (versus the Kryo 485 CPU and Adreno 640 GPU in the SD 855), which Qualcomm claims offers double the performance and 60 percent better power efficiency as what you’d get from a Snapdragon 850 chip (like the one found in the Galaxy Book 2). That kind improvement should go a long way to addressing many reviewers concerns (including ours), that current Windows on Snapdragon machines suffer from a mediocre performance at best, both from a lack of horsepower and the need to deal with a lot of programs and apps that still don’t run quite right on ARM. On the 8cx, Qualcomm has also doubled the memory interface from 64 to 128 bits, while the system’s 7-nanometer architecture offers better overall efficiency thanks to denser chips with lower voltage supply loads compared to Intel and AMD’s current x86 CPUs, which are currently produced using less efficient 12nm and 14nm processes. Just don’t expect to see the 8cx in anything like a gaming laptop, as currently, it’s unclear what kind of support the 8cx has for discrete graphics, and even with significantly better performance versus previous-gen chips, the 8cx still won’t have nearly enough computer power to play modern AAA games. 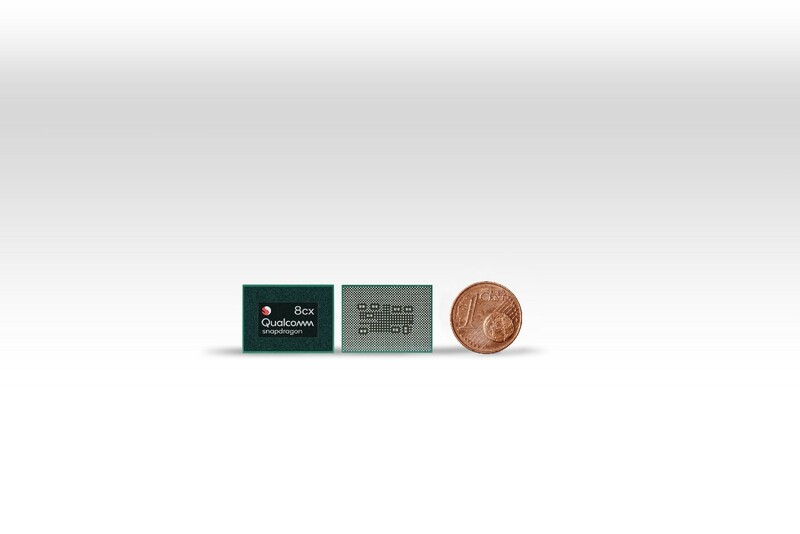 As you’d expect from a company that specializes in mobile chips, the 8cx will also have almost the same class-leading cellular and wireless capabilities as Snapdragon-powered phones, including built-in 4G LTE with speeds up to 2 Gbps, 802.11 a/b/g/n/ac/ad wifi, and a persistent connection that stays on even when your system goes to sleep. 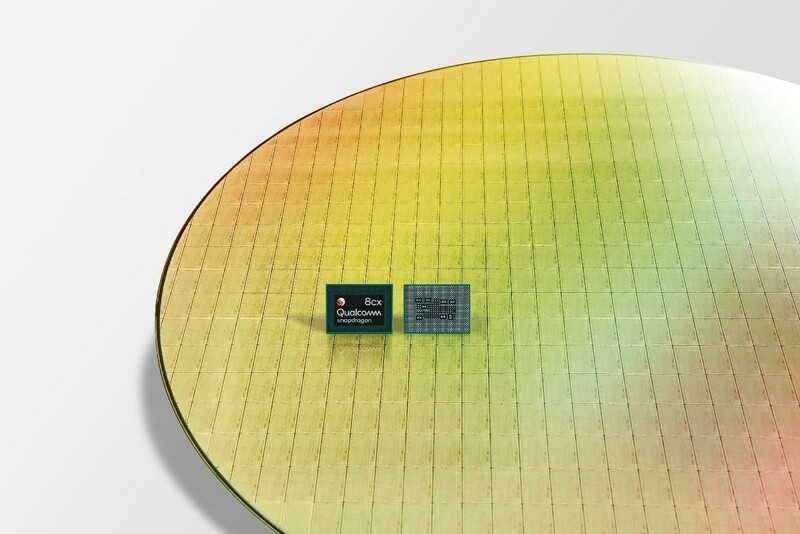 However, in the beginning, it seems that upcoming Snapdragon 8cx laptops won’t support 5G networks by default, as the chip’s standard config features Snapdragon x24 modem instead of Qualcomm’s X50 5G modem. 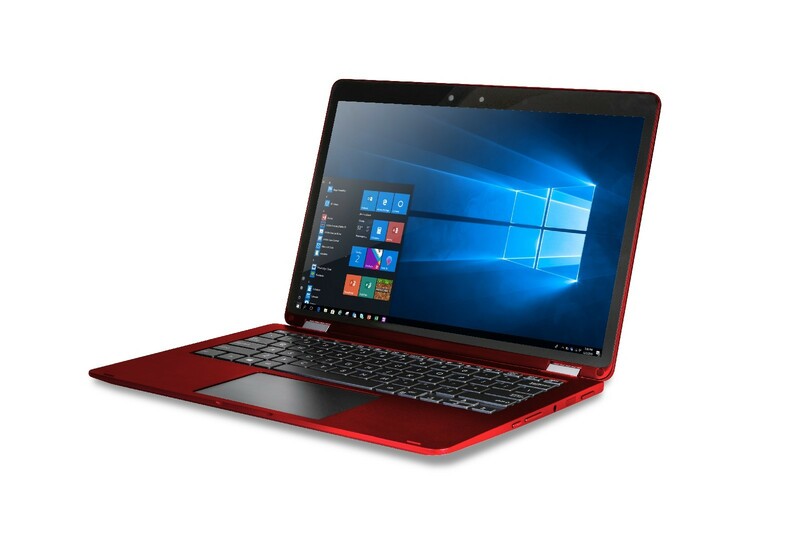 On the security side, on top of having built-in 4G LTE so you don’t need to hunt around for sketchy wifi networks at the airport or your local cafe, the 8cx was also designed to run on Windows 10 Home, Pro, and Enterprise, and comes with hypervisor support, remote management, and optional biometric login options. Along with potentially much better performance, the 8cx also offers things like support for Qualcomm Quick Charge 4+, onboard Bluetooth 5.0, NFC, multiple USB 3.1 ports, and speedy PCI-E internally. However, one thing the 8cx won’t have (at least initially), is support for Thunderbolt 3, which is an Intel-driven interface not yet licensed for use in Qualcomm’s new chip. With the perception that traditional x86 development has stalled at the hands of Intel and AMD, having even one option for an ARM-based alternative could be incredibly valuable, even if the benefits to typical laptop buyers are still somewhat far out. There’s already a lot of speculation that at some point in the not too distant future, Apple will convert its MacBook line over to using its ARM-based A-series chips instead of the Intel chips its used today. And with the 8cx, Windows machines could be preparing for a similar changeover, or at least an environment where x86 and ARM-based systems live side-by-side. That said, the Snapdragon 8cx itself is just one part of the equation, as Windows still suffers from decades of software designed specifically for x86 chips, and while Microsoft has been making it easier to port things over to ARM and even redesigned apps like Edge to run natively on ARM, there’s still a long way to go. Even with the announcement of the 8cx today, we probably won’t be seeing any actual laptops featuring Qualcomm’s new chip until next fall or summer 2019 at best. Posted in Blog, Tech Corner, Tech Corner and tagged #2018, #2019, #5G, #announcement, #blackfriday, #cheap, #chips, #gaming, #google, #Graphics, #mcsc, #messiah, #News, #Qualcom, #samsung, #security, #smartphones, #Snapdragon 855 chip, #tech, #TheMessiah, Anonymous, fun, gadgets, games, iPhone, mobile phone.